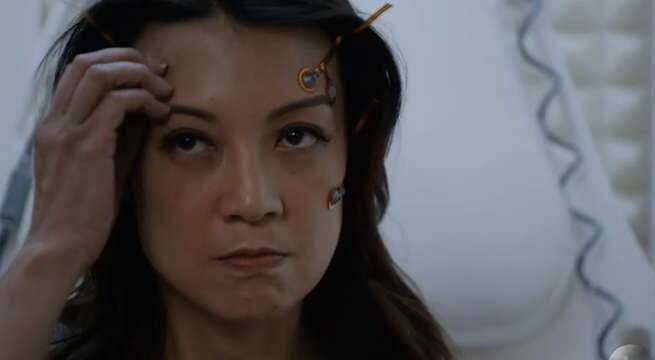 Agents of SHIELD: What's The Final Pod About? This story contains spoilers in regards to this season of Agents of SHIELD. With the end of the second ‘pod’ of this season of Agents of SHIELD coming our way Tuesday evening, we wanted to take a second and speculate what the third pod of the season could possibly be about. 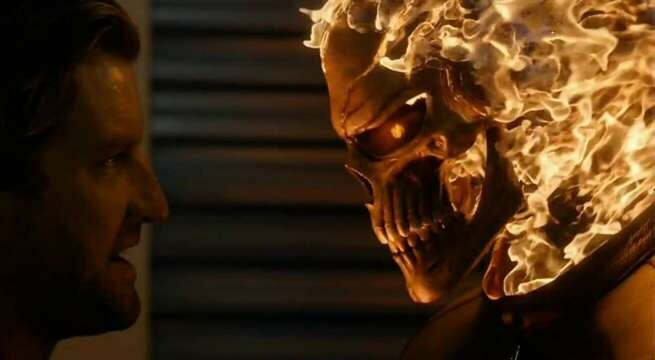 Through the 14 episodes we’ve seen this season, we’ve been treated to two primary story arcs — the first showcasing Ghost Rider, a fan-favorite character finally introduced into the Marvel Cinematic Universe and the second, and current story arc, featuring a staple of the SHIELD comics culture: Life Model Decoys. As we previously covered, this Tuesday’s episode is set to be the last episode until April 4, a good indication the second pod will wrap up and transition us into the third pod of the season. As you may recall, the Ghost Rider pod ended with the big revealing that the version of Agent May that was on the SHIELD base was in fact a Life Model Decoy. Time to run through a few scenarios, shall we? With the Framework, Radcliffe is essentially able to physically sedate somebody while projecting their mind into a pre-determined scenario in the Framework. Originally creating it as a way to make his terminally ill fiancé more comfortable in her dying moments, we even saw Radcliffe, with the assistance of his Life Model Decoy assistant Aida, get projected into the Framework this past episode. While we didn’t see the scenario Radcliffe was in per se, we did get confirmation that he isn’t opposed to testing his own inventions on himself. 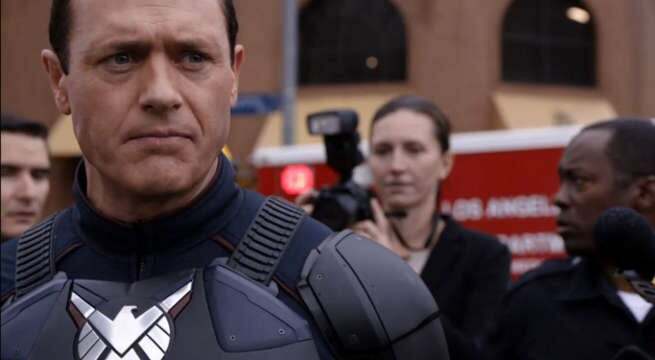 Over the past few episodes, we’ve seen Director Jeffrey Mace survive an assassination attempt only to lose his super soldier serum at the hands of an anti-Inhuman militant organization. Then he was informed by Agent Simmons that even if they could recreated the same serum, there’s a pretty solid chance it’d kill him. Oh — did we mention he was just kidnapped by the aforementioned anti-Inhuman group? Needless to say, we could probably pass it of as a pod within a pod and call it something along the lines of Director Mace and the Terrible, Horrible, No Good, Very Bad Day. Trapped in the woods after an attempted assassination ordered by Senator Ellen Nadeer, Director Mace revealed to Agents Coulson that he wasn’t really an Inhuman after all — he was just a regular guy that took a serum that made him enhanced for limited amounts of time. Needless to say, his patience seems to be wearing rather thin as of recent — you know, with the kidnapping, torture and all? Could this week be the week the Director’s last string is snapped and we see Director Mace break bad to end his time on the show as this season’s final antagonist? 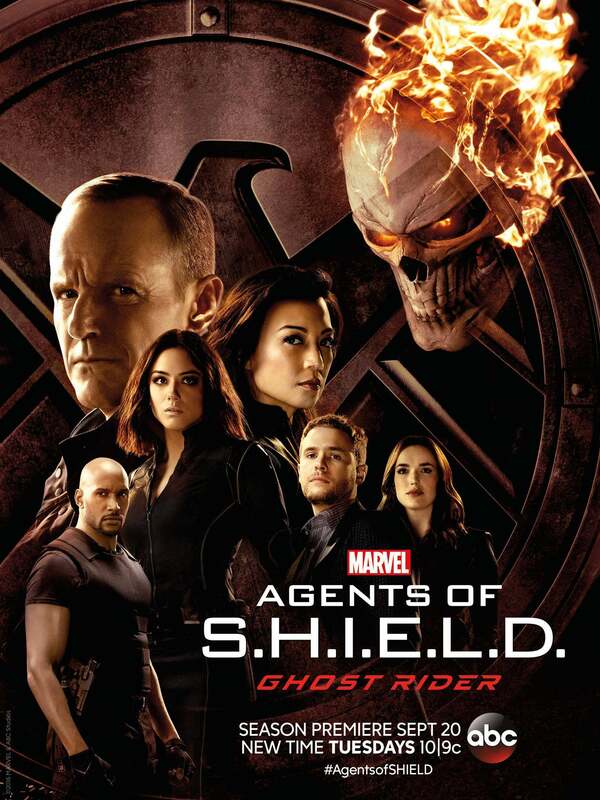 When Marvel TV took to San Diego Comic-Con last year to announce they were including Ghost Rider on this season of Agents of SHIELD, I think many fans were hesitant from the get-go — rightfully so, Ghost Rider is a perennial fan favorite and much of his source content may be better suited for a streaming service, where they wouldn’t have to deal with the censors. However, once the show debuted in it’s new (later) time slot and we finally saw the Robbie Reyes version of Ghost Rider come to life, I think those same hesitant fans took a collective sigh of relief when they saw the character in live action. We ended the Ghost Rider pod seeing Robbie seemingly sacrifice himself to take down his evil Uncle Eli, who was in the process of using the aforementioned Darkhold to create matter out of nothing. If the introduction of Doctor Strange to the Marvel Cinematic Universe is any indication of how expansive of a universe we’re currently dealing with, there’s no reason to worry that Ghost Rider is gone for good. While it’s a good chance the final pod of the season has to do with one of the three topics previously mentioned, the cast and crew have been pretty tight lipped in what we’ll see. 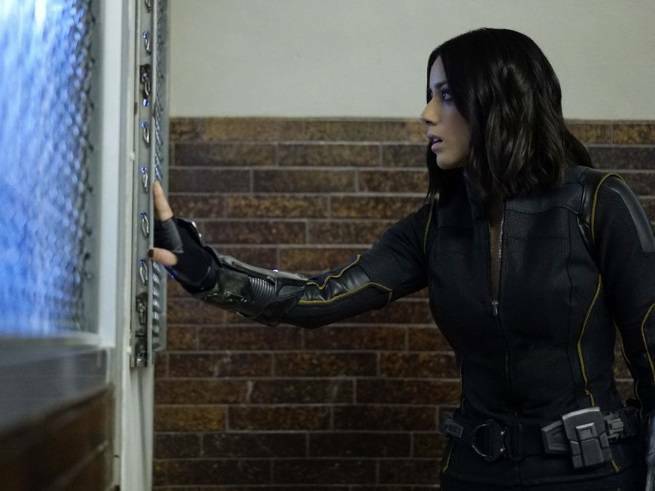 Chloe Bennet, the actress behind Agent Daisy Johnson, not only said that the closing episodes of the show’s fourth season were her own personal favorite, be she reiterated the fact that “s**t’s going to happen” that’ll blow our minds. Sit down, buckle up and make sure to keep your hands inside the vehicle at all times because once Agents of SHIELD comes back from this hiatus, the remainder of the season is sure to be one wild ride. Episode 4.15S4:E15 Marvel's Agents of S.H.I.E.L.D.